Well what can i say…… the awesome Atari Jaguar. As i’m sure you will agree, Atari left us with a ‘cult classic’ gaming console….. with a cult following!!! This was a real grand finale for Atari and when the Jaguar console was finally released it was to be the most technically advanced machine of it’s time. It all started in 1991, a rumor was circulating that Atari was to make a comeback with a 32-bit console called the Atari Panther. Unfortunately or possibly fortunately depending how you look at it the panther project was canceled and in 1993 the Atari Jaguar was released instead. This was to be the last gaming system to be released by the Atari Corporation. Jeff Minter, Mr Llamasoft himself who I have a great respect for was the man who gave us such great early titles like ‘Sheep in Space’ and ‘Revenge of the Mutant Camels’ but most importantly of all he left us with the awesome game ‘Tempest, and Tempent 2000’ on the Atari Jaguar. Jeff also played a major key part in the development of the Jaguar and also briefly on the panther which i will later go into (a real treat for you real Retro Gamers ! ! !). The Atari Jaguar used Flare Technology which was hardware and also the company formed by Martin Brennan, Ben Cheese and John Mathieson. This technology was used in some arcade cabinets and was related to the ‘LOKI’ project that they previously worked on at Sinclair Research, which in turn was derived from the ZX Spectrum home computer. They boasted that not only could they make a console more superior to the Sega Mega Drive (also called the Sega Genesis) or the SNES (Super Nintendo Entertainment), but a console that would be in competition with the Panasonic 3DO and also be more cost effective. 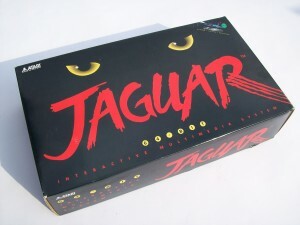 Several add-on peripherals were to be released for the Atari Jaguar but only a few of those actually made it into production like the Atari CD Drive, the Pro-Controller and the JagLink (a simple two-console networking device). A prototype VR Headset existed using infrared head-tracking but never actually made it to production. A system using the Atari chipset called COJAG (Coin operated Jaguar) was licensed by Atari Games for use in its arcade games. The system replaced the 68000 with a 68020 or MIPS R3000 based CPU depending on the board version. Adding a hard drive and more ram, this ran light-gun games like Maximum Force and the more well known Area 51. The Atari Jaguar was only released in select U.S. cities in November 1993 and to the rest of the country in 1994. Although it was promoted as the first 64-bit gaming system, this was highly debated because of the CPU (68000) and the GPU executing a 32-bit instruction set. Atari unfortunately suffered an ill-fated crash in the mid 1980s due to the over saturation of the video game market by third party developers. After Atari merged with JT Storage, the Atari Jaguar ceased production after a last attempt was made to revive the console was made but sadly failed. Before the collapse, it was rumoured that Atari had been working on the Jaguar II and they had even assembled a few prototypes. The system was to be fully backward with the Jaguar and it was believed to have three times more processing power than that of the Playstation using seven processors on three chips. What i thought was quite impressive at the time was at the heart of the Jaguar. Five processors residing in three chips, two of them being (Tom and Jerry) with a third being a Motorola 68000 co-processor. Graphic Processing Unit (GPU) – 32-bit RISC architecture, 4KB internal cache, prov iding a wide array of graphic effects. Object Processor – 64-bit RISC architecture; programmable; can behave as a variety of graphic architectures. Blitter – 64-bit RISC architecture; high speed logic operations, z-buffering and Goura nd shading with 64-bit internal registers. DRAM controller, 32-bit memory management. Digital Signal Processor – 32-bit RISC architecture, 8 KB internal cache. Same RISC core as the GPU, but not limited to graphic production. Number of sound channels limited to software. Two DAC’s (stereo) convert digital data to analog sound signals. Wavetable synthesis, FM synthesis, FM sample synthesis, and AM synthesis. A clock control block, incorporating timers and a UART. The first game released was included in the Atari Jaguar package and was called Cybermorth, which i thought was a bit weak. Great memorable titles for me were Alien vs Predator, Tempest 2000, Doom and Wolfenstein 3D. 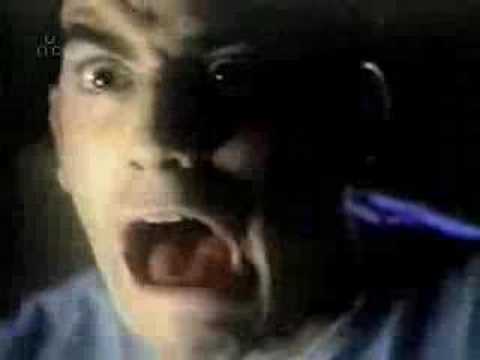 To sum up the Atari Jaguar, when it first arrived to us, many gamers had mixed expectations due to the power of the machine and with some feeling the the Jaguar fell short on it’s promises. Several television commercials were made to promote the system and some looked pretty impressive. I think the Jaguar a legend in its own right and i will continue to use mine for years to come . 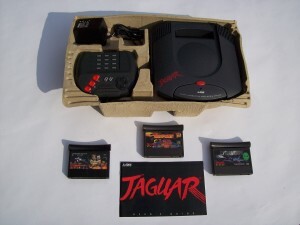 . .
With the Atari Jaguar selling approximately 125,000 units and approximately $3 million of Jaguar merchandise so it didn’t do too bad and still holds a special place in my video gaming history. With many prototype games still being out there that have not yet been released it looks to me like Atari Jaguar is still very much alive!